GET ORDINARY MEMBERSHIP FOR €50 A YEAR! Approved HIS members have free access to all lectures, videos and live operations. HIS members recieve 50$ discount from the Registration fees of the HIS Annual Congress. Hypopadias is a common congenital anomaly affecting about 1% of male live birth. It has become a true speciality that involves different interested disciplines including Pediatric Surgeons, Pediatric Urologists, Urologists, Plastic Surgeons, Andrologists, Endocrinologists, Psychiatrists as well as Basic science in the field of Anatomy, Physiology, Genetics and Embryology as well as parents and support groups. There is a lot that is still unknown about this particular and interesting field of medicine and science. There is a need to promote research and to set a high standard of patient care and ethics and to exchange and promote knowledge and experience. a. To provide an International forum for all disciplines and persons interested in the field of hypospadias. b. 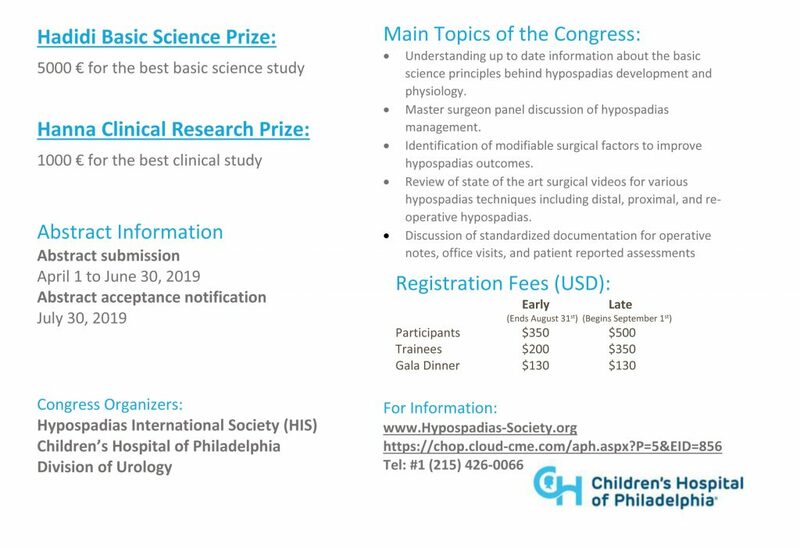 To promote and support clinical and experimental research and study in the field of hypospadias. c. To exchange scientific information, technologigal and scientific know-how among members. d. To encourage and arrange regular scientific meetings, seminars, workshops, conferences, aimed at improving the healthcare of Hypospadias patients and providing information to family members, groups, and individuals and parents support Groups and forums. e. To promote and maintain the highest clinical and ethical standards for the sake of patients and establish an international Hypospadias Registry. f. To establish international Hypospadias Diploma courses with exams and certificates that recognizes qualified members in the field of hypospadias surgery. g. To provide technical assistance and establish referral Hypospadias Centers all over the world to serve Hypospadias patients. h. To establish an international scientific Hypospadias Journal with the aim of encouraging and promoting scientific and clinical research in the field of hypospadias. i. To pursue any activity which is incidental to or consonant with the attainment of any of the aims and objectives of the HIS. j. 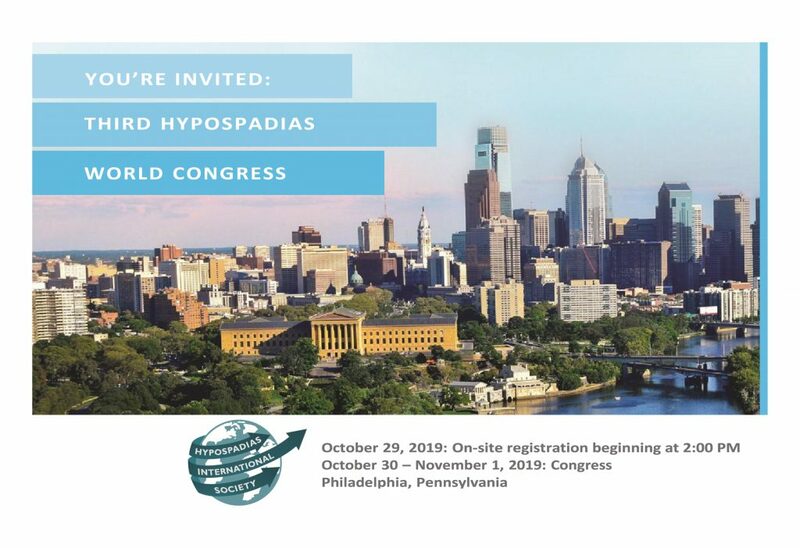 To establish the Project Hypo Treat & Train (HypoT&T) to help children with hypospadias all over the world and help train surgeon all over the world to correct hypospadias successfully.